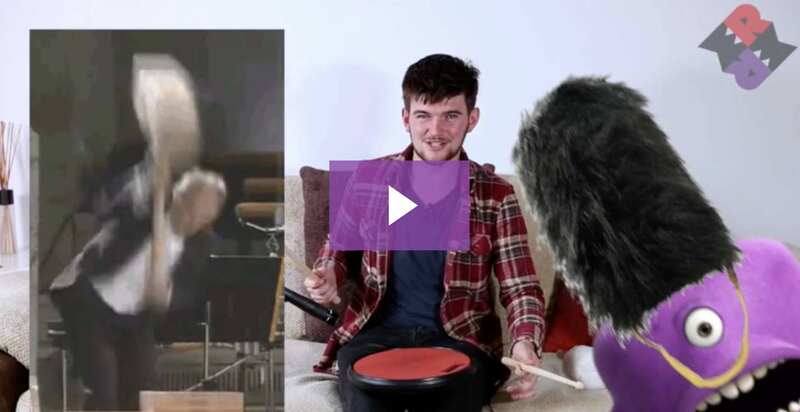 10 Ways to Improve Your Scottish Pipe Band Drumming Today! 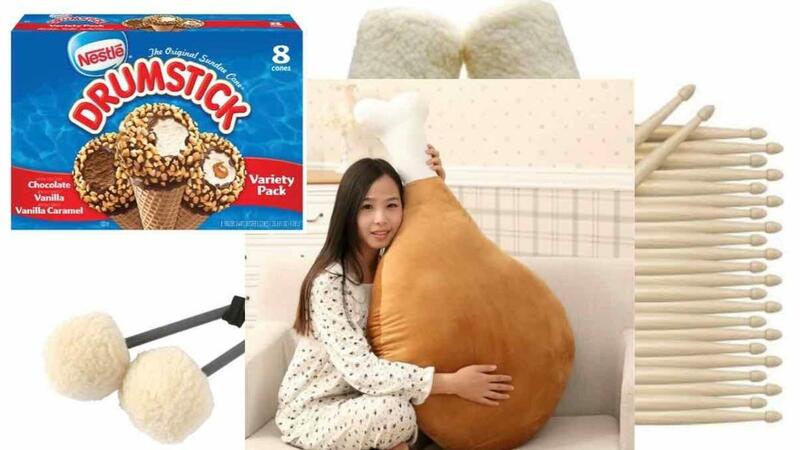 We all know the comforts of sitting at the good ol’ table. 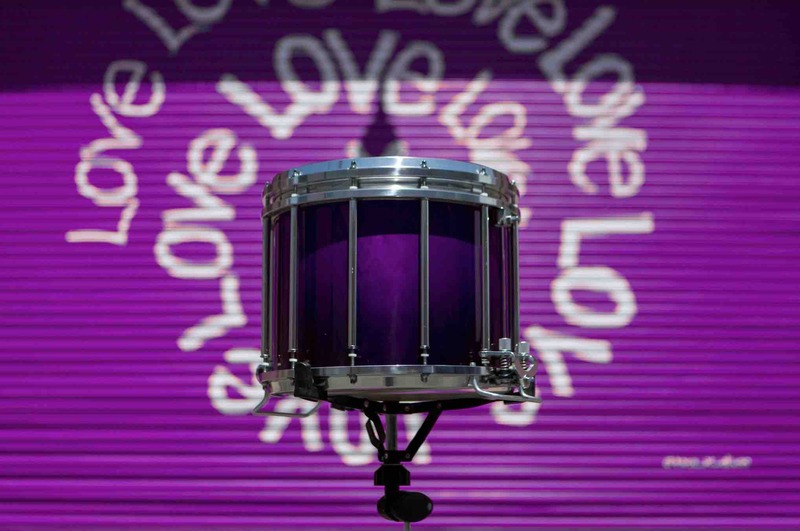 Snare Drummers, Tenor Drummers, Bass Drummers; we’re all guilty of it and do it far too often. If we’re not careful, this can be super detrimental to our playing. The reason is very simple: tables and chairs are not designed for drummers! They do not put the playing surface at the appropriate height for the vast majority of people. Snare Drummers: We’re probably the greatest victims here. Most table/chair combos put the playing surface WAY too high. Think about where your drum is in relation to your body when you wear it. 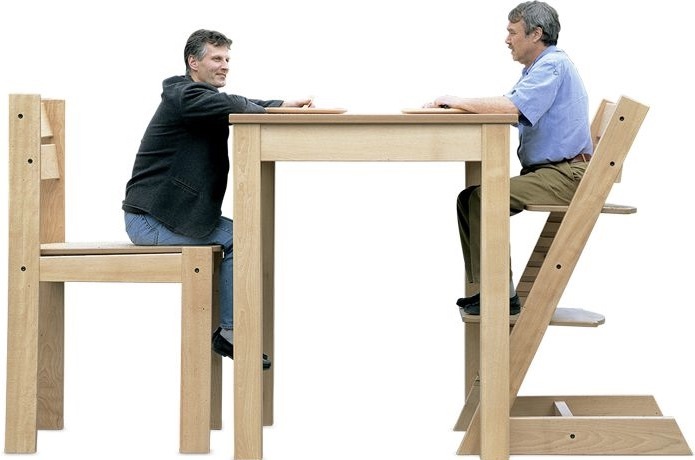 Now, think about where your average pad height is when sitting at a table. If it’s not the same, it’s affecting your playing - maybe in ways you don’t realize. Tenor Drummers: Your playing position should be far lower than a typical table when sitting. Think about it: would you EVER put your Tenor Drum that high on your body? Not only will playing at table height affect how you hit the drum, it will have a big impact on your flourishing as well. Your arm angles are always different sitting at the table than when standing with your drum. You want those angles and heights the same, right? Bass Drummers: Even though the entire playing angle of your instrument is different, you would also benefit from practicing standing up. Your touch and nuance makes or breaks the overall sound of your band. Smashing and crashing downward on a table just might establish some tendencies in your playing that transfers to the drum. Your back and shoulder muscles simply move differently when sitting than standing, which affects your physical approach, which affects your sound. Why take the chance? So often players feel they need to relearn or adjust their playing from pad to drum. The best musicians in the world work the other way around. Start with your performance approach, beginning with your drum-to-body relationship. Work to replicate this relationship when practicing. Consistency is key, allowing your muscle groups - the arms, wrists, and fingers to operate the same whether you’re on the pad or drum. The very first class in our Scottish Pipe Band Snare Drum Tutor - ST1001 goes into great detail here. I realize we all want to chill while on pads, especially when band practice is after a long day at work. If your goal, however, is to fix your corps' inconsistencies and establish a better musical standard, practice standing-up with drum stands, camera stands, carrier attachments, etc. If you insist on sitting, cool, just make sure the pad is at the same height to you body as your drum would be. 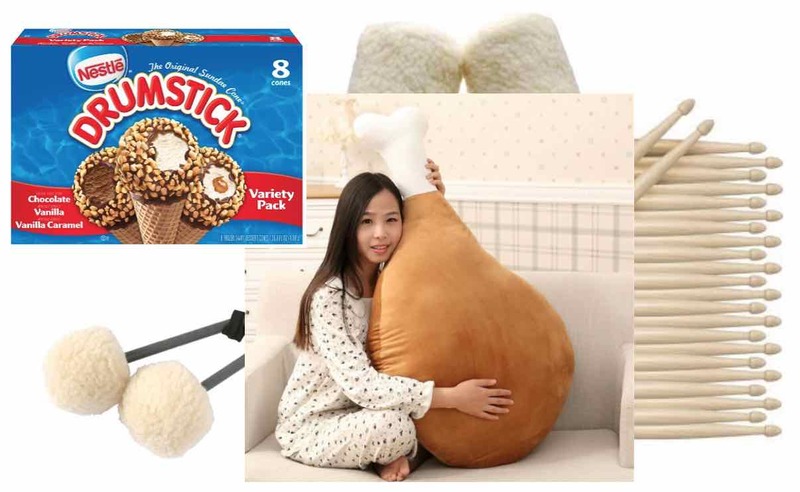 We all want our drumsticks to last longer (regardless of which type), & everyone would benefit from having a fresh set of sticks and mallets reserved only for competition days. This will help you sound and feel better. It’s similar to that sense of honor, pride and power you feel when wearing your band’s uniform. Also, sticks and mallets breakdown. They are only made of simple materials like wood, plastic and felt. They don’t last forever, actually not long at all. The more we use our implements, the quicker they will sound and feel less than ideal. If you have a set of sticks and mallets reserved for practice and a separate set that you only use for performances, both sets will sound better and last longer. 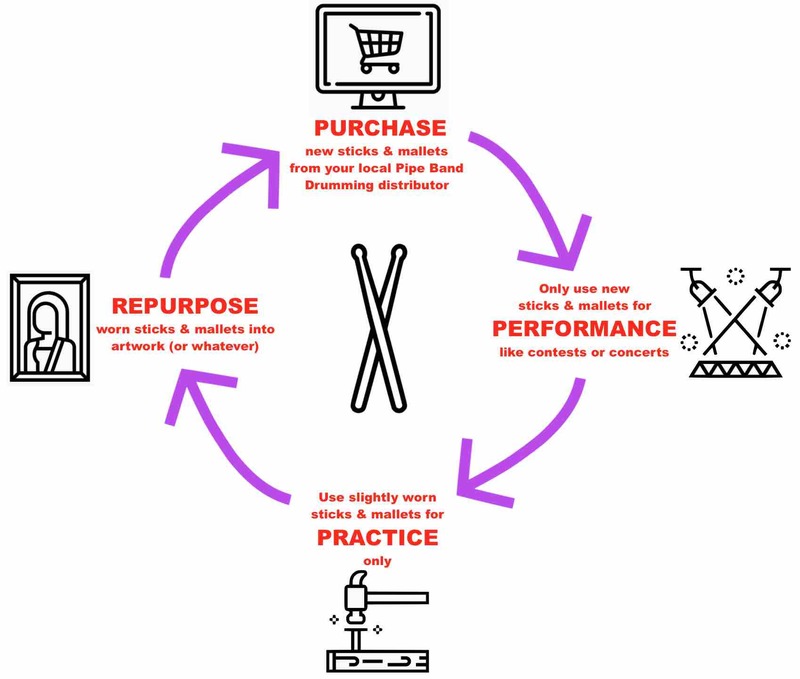 As your performance implements deteriorate, they can then become your new practice sets. A brand new set would then become your new performance sticks/mallets. This a good cycle that will ensure you always have a fresh sound for the contest or concert, and you’ll get the longest lifespan out of every pair you purchase. 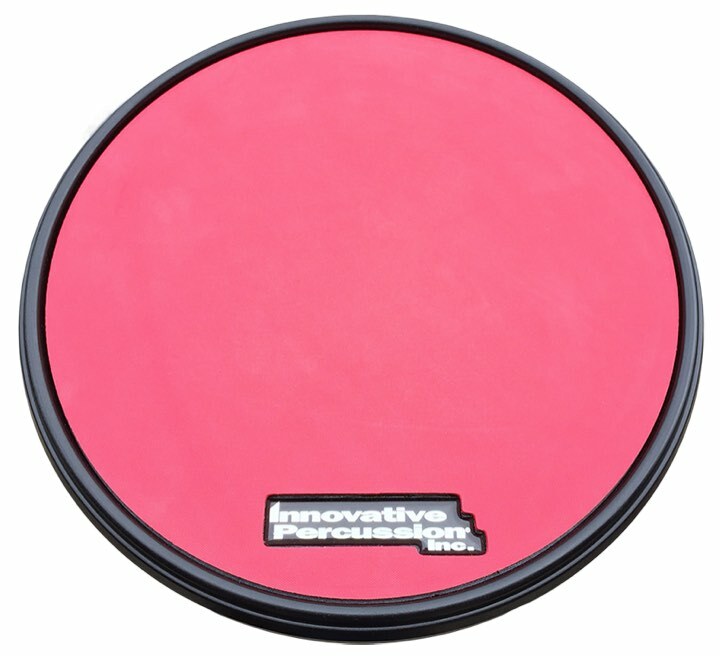 Snare drummers: we all love gum rubber pads. They sound good, they feel good, some even smell good (or use to). But the unfortunate truth is they do not feel like a drum. I’ve seen many players who suffer greatly from having what we call, “pad hands.” The style we play in Pipe Bands is super sensitive. Practicing on a surface that is 'bouncier' than an actual snare drum will get your hands accustomed to playing, essentially, the wrong instrument. 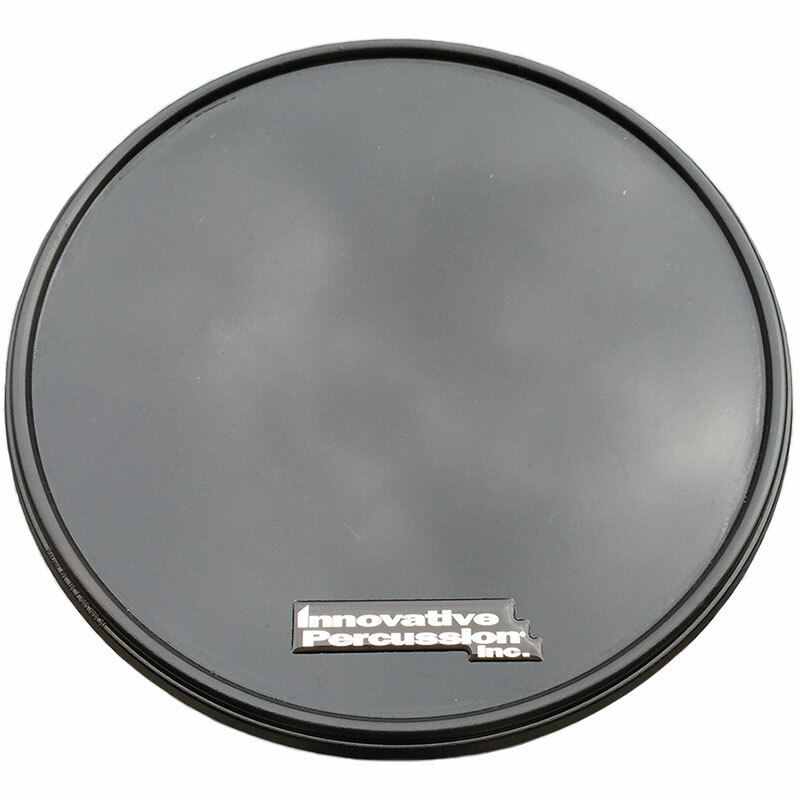 Choose a drum pad with a harder service or one that feels and rebounds similar to your drum. The other big advantage of harder pads is that they’re louder, which makes it much easier to identify mistakes when rehearsing. Softer, bouncier pads can hide mistakes. My personal favorite is the CP-1R from Innovative Percussion. This pad uses this awesome stuff called “Dark Matter,” from OffWorld Percussion. Reid Maxwell has a great perspective on drum pads in his Stick and Gear Selection class. Again, consistency is key. Regardless of brand or size, choose a pad that allows you to play and feel the same as you would on your drum. Nothing, and I mean nothing, can replace the impact of one-on-one personal interaction. If you have someone near you whose music and message you enjoy and who is an absolute expert at one of the three instruments, seek-out that individual and make time and a budget for them. If you don’t have a pro nearby, there’s this fancy thing called the interwebs that has far too many available tools to ever allow you to say, “I can’t find someone.” Skype, Google Hangouts, Facetime, Facebook Phone, WhatsApp, Zoom; you can easily connect with the pro player that suits your learning style and the style of play you’re seeking. Take private lessons! It is the best way to really understand Pipe Band Drumming or any other style, instrument, or music. Your private instructor does not need to walk you through every little thing, and quite frankly, they don’t have the time. If you get instruction from a pro, that’s awesome. Everyone could use more tools to stay motivated and to practice between lessons and band rehearsals. There is no better online resource for this than Rhythm Monster. Yes, the author of this article is one of the Co-Founders of Rhythm Monster, which was created so anyone can have instruction and practice tools available 24/7, anywhere on planet earth with a wifi connection, accessible from any device. Supplement your private lesson instruction, maximize your practicing, and how about just have some freak’n fun jamming at home? Crazy, right? Have fun getting better with a subscription to Rhythm Monster. Which band wins the contest in every Grade? Which soloist wins the day? The one that sounds and executes the best. How do you improve your sound quality and execution? One word: technique. Pipe Band Drummers are always pressed for time. There’s never enough practice time with the corps, with the pipes, outside, on the grass, etc. As we move up in the Grades there’s more and more music to learn and memorize. Who has time for technique?!?! Think about it this way: You know those songs you sing in the car or the shower? You know every word, every instrument part, every nuance. But unless you're a badass vocalist, it might not be stage-worthy stuff, right? You know the material, but... As someone who would put any action in front of singing in public, I can relate, btw. Knowing your material and having quality of sound are different things. Working on quality of sound and working on band sets is, or can be, two different things. Regardless of Grade, you can always have more quality and control, and this comes from your technical ability and understanding. Check-out class ST1003 Physical Style & Musical Approach for a detailed look on how technique equals "Q of S."
To better understand any genre of music, allow time for your musical mind to absorb it. Discover your favorite Pipe Bands, & go a step further to find your favorite Cèilidh bands, rock bands, or session groups. The more Celtic music you listen to, the more you will understand its unique & beautiful intricacies. Time for technique is for your body. Listening to music is time for your mind and soul. Don’t limit yourself to the World Pipe Championships DVDs, CDs and Livestreams (although they’re all super awesome). Go beyond. Listen to all types of Celtic music. It’s beautiful stuff. 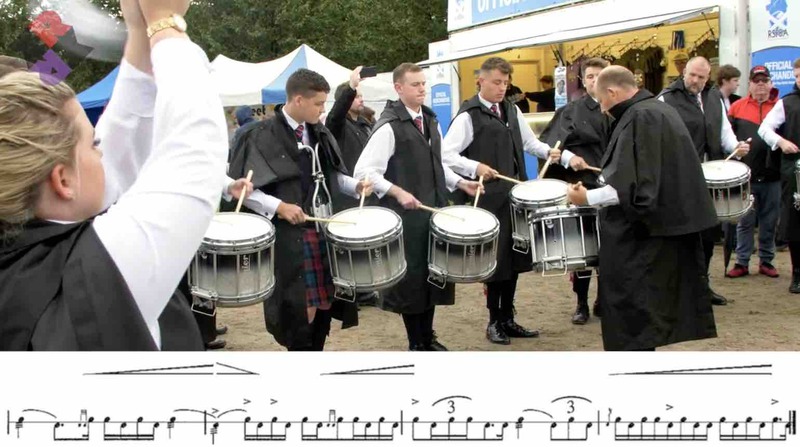 Monster Bass Drummer Fergus Bryce talks about his influences from other Bass Drummers, Pipe Bands, Cèilidh bands, and rock bands in his class, Bass Drum'n - "The Next Level." Taking it a step deeper, especially for Drummers, spend time absorbing what the top Drummers and Drum Corps in the world are doing. What do they sound like? Can you identify one from another just by site or by sound? Could you specifically describe how Pipe Band Drumming sounds different from other styles of drumming to someone? Having a deeper understanding of how the top artists in the world play, look and sound will have a direct impact on your playing. There are some killer Youtube channels that have posted full band performances for many years. Drone Chorus and Mr. Ulster Scot have been long-standing resources (and awesome guys) who normally attend the 5 Championships in the UK each year. We Love Pipe Bands is another great content provider and sharer of all things Pipe Bands. For Drummers and Drum Corps, look no further than the tab at the top of this screen marked “Blog.” The Rhythm Monster Blog Series has the web’s highest quality content of the best Pipe Band Drum Corps from the World Pipe Band Championships each year. Rhythm Monster offers exclusive footage from these events for free. Check it out! The reason so many players get so nervous at contests is because they put all of their mental cookies in a single basket. That basket is usually the contest result, i.e., the musical product. Meanwhile the process of learning music is everything. 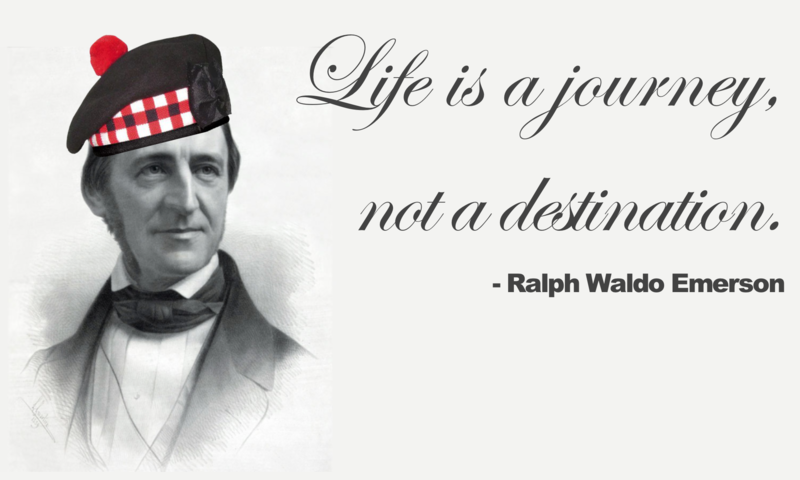 You know the old saying, "It's the journey, not the destination." Your playing ability (and overall experience) will immediately improve with this Waldoian approach. Realizing self-improvement will turn your fears into focus. You don’t have any control over the contest result anyway, right? A judge might disagree with you, and you have no control of that. You can, however, control your process of learning, enjoyment of the music, and time with your bandmates. Prioritize process over product and you will instantly be a better musician and bandsmen. In music there is no end. There is no finish line. There are always more tunes, scores, more collaborations, deeper connections, etc. But even if you land yourself the Drum Sergeant position of the best band in the galaxy; even when you smash the World Pipe Band Championships; even if you rack-up 20,000 trophies...there’s still more. There’s still room to grow. And this is truly beautiful. Embrace this, & never stop learning. You will instantly be a better Pipe Band Drummer. There it is! 10 things you can do today that will instantly make you a better Pipe Band Drummer!